As a solution, one of his first tasks of Moholy-Nagy Wilhelm Wagenfeld created at the age of 24 years, the WA 23 SW. The young Wagenfeld had just started as a journeyman in the Bauhaus workshop in Weimar and already he achieved a work that enjoys even long after his death the greatest popularity. The WA 23 SW is characterized as "Bauhaus glass lamp" by the industrial production system modeled design and is distinguished from other versions of the series by the matt black lacquered base plate off. The series is still available today, the luminaire manufacturer to thank Tecnolumen, the attention was drawn to the works Wagenfeld around the year 1979 and decided to do a re-edition to bring out the same. 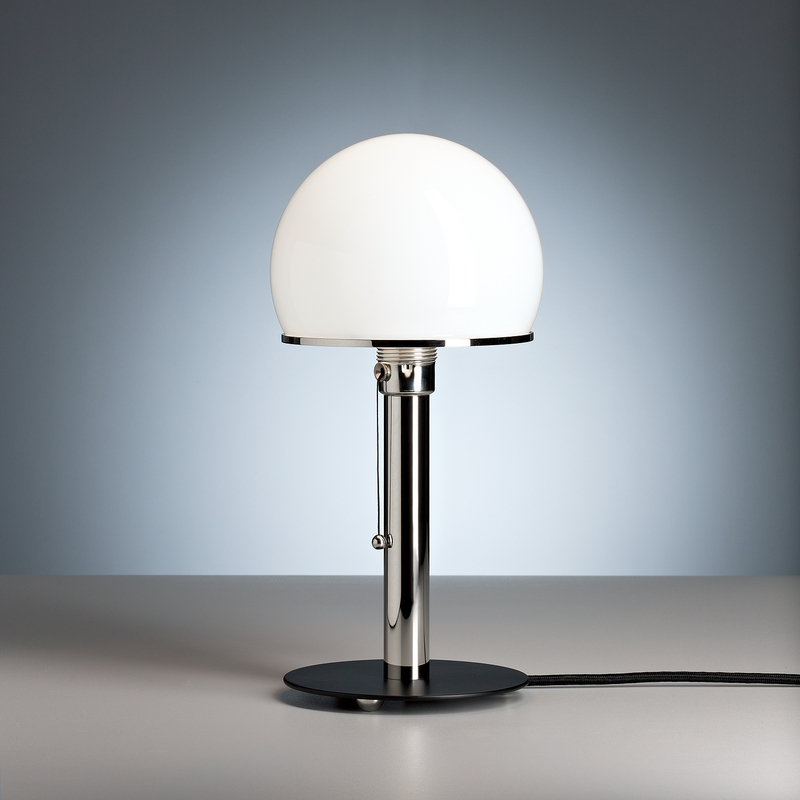 As of Wagenfeld authorized editions bear all lights lights both the Tecnolumen and the Bauhaus characters.